Nothing lasts really. Neither happiness nor despair. Not even life lasts very long. A few years back I recommended In Which We Serve, the first collaboration between NoÃ«l Coward and David Lean. As their partnership evolved, Coward ceded full directorial control to Lean and the two men made a series of films (now available as a boxed set from Criterion Collection) that both reflected and defined Englishness for a generation. This week’s recommendation is the strongest of their efforts, which is truly saying something: 1945′s Brief Encounter. Expanded from a one-act play of Coward’s, the plot is so simple that it would have been slight in less talented hands. A plain-looking, thoroughly respectable suburban housewife and mother named Laura Jesson is waiting for her regular train on her regular shopping day. A train throws a piece of soot into her eye. The handsome Dr. Alec Harvey comes to her aid and something sparks between them. They meet again by chance, a third time by intention mutually disguised as a trivial convenience, and then, guiltily, on purpose. A forbidden — though by modern standards, extremely restrained — romance develops. But where can it go, for two married parents with a lifetime of British socialization in their veins? 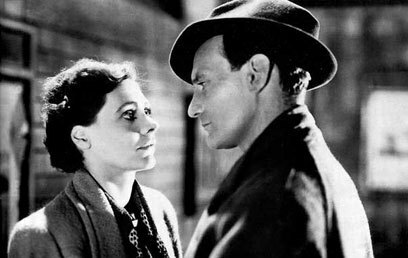 Other than The Browning Version, no British film conveys the nature of quiet desperation as achingly as does Brief Encounter. Coward wisely does not make the choices simple for the characters or the audience. Laura’s husband is gentle and devoted and her children loveable. Alec’s family is never seen, but the audience imagines something similar regarding his own responsibilities and constraints. Alec and Laura are drawn to each other not because they are fleeing violence, hatred or some other overt misery. Rather, they are running from dullness towards passion, which is underscored (pun intended) by perfectly chosen music by Rachmaninoff. Lean and his frequent collaborators Ronald Neame and Anthony Havelock-Allan understood the possibilities of film as well as any team in the history of cinema (Not incidentally, they went on to make many classics together post-Coward, including prior RBC recommendation Great Expectations). This movie is one of many times when they hit it for six. The tone, look, pacing and editing are all unimpeachable. The other undeniable virtue of Brief Encounter is the acting. Trevor Howard, as Alec, is strong, but Celia Johnson tour de force’s as Laura, the more fully developed of the two characters, will stay with you until the end of your days. She might have been an unsympathetic character but Johnson’s evident humanity and emotional turmoil will elicit forgiveness from even judgmentally-inclined viewers. Johnson’s most unforgettable moment: Her character’s realization that her husband loves and trusts her so much that the lie she tells to cover up meeting Alec has no chance of being detected. Johnson deservedly received a 1947 Oscar nomination for her performance. It came that long after the 1945 British release because a movie in which infidelity is not punished was long considered too scandalous to release in a number of countries, including the U.S.
Every moment, every look and every gesture rings true in Brief Encounter. Pour yourself a cup of tea, get out your hanky and watch this truly magnificent film made by a creatively matchless group of artists.